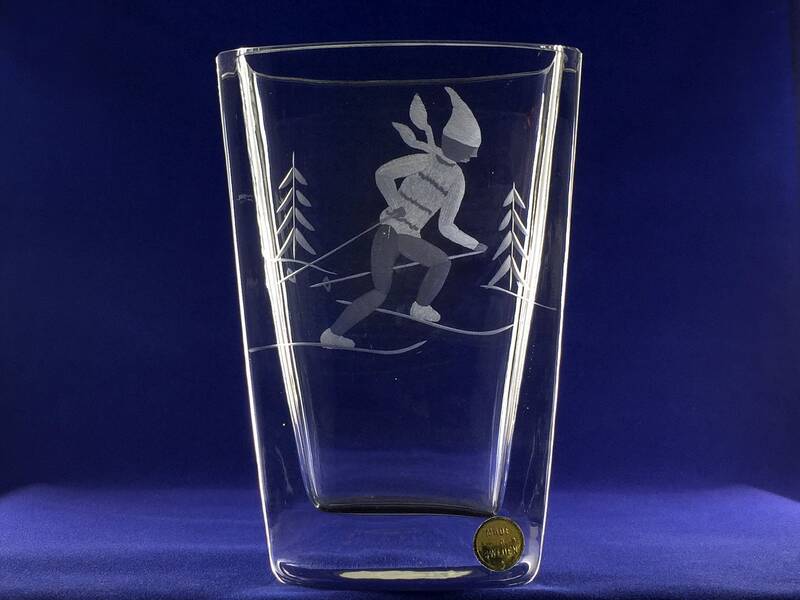 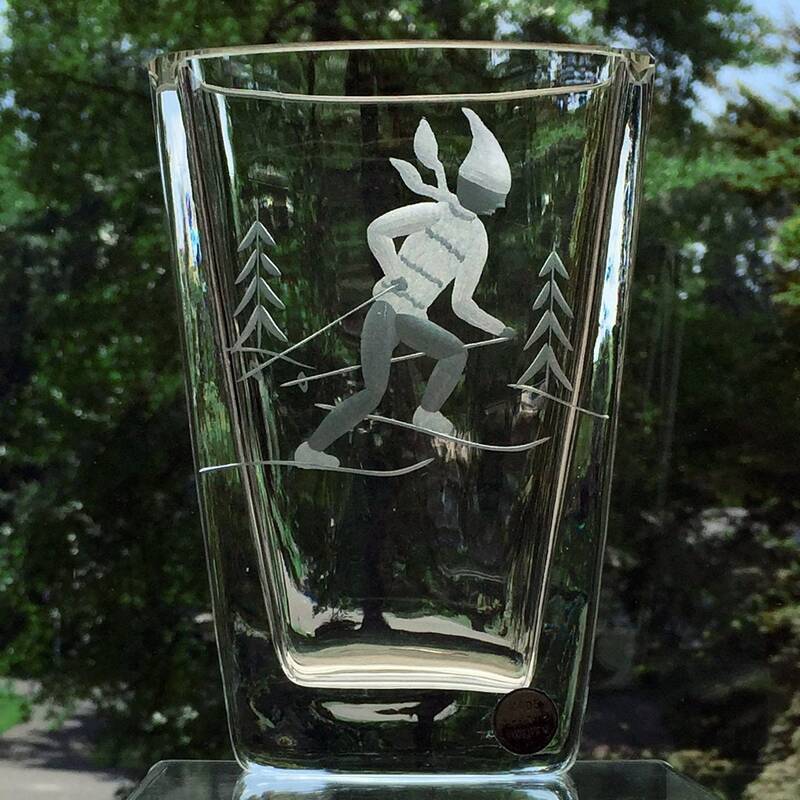 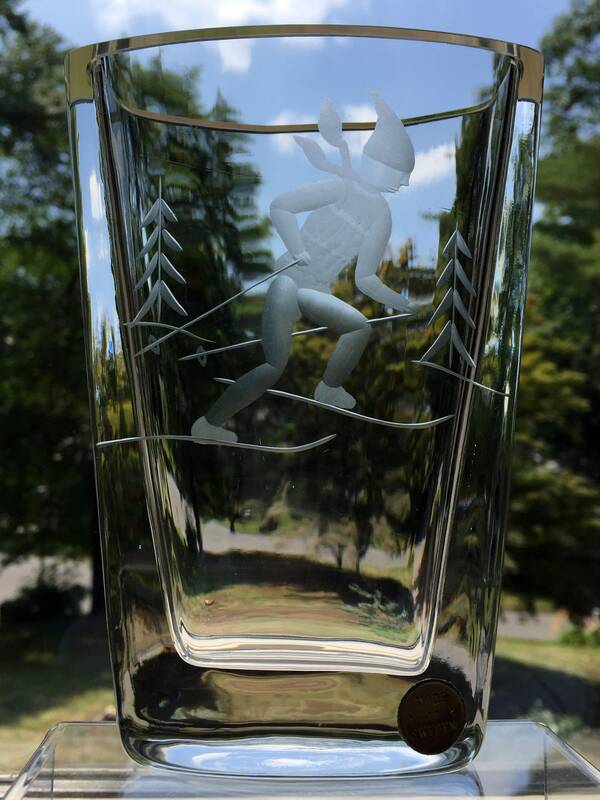 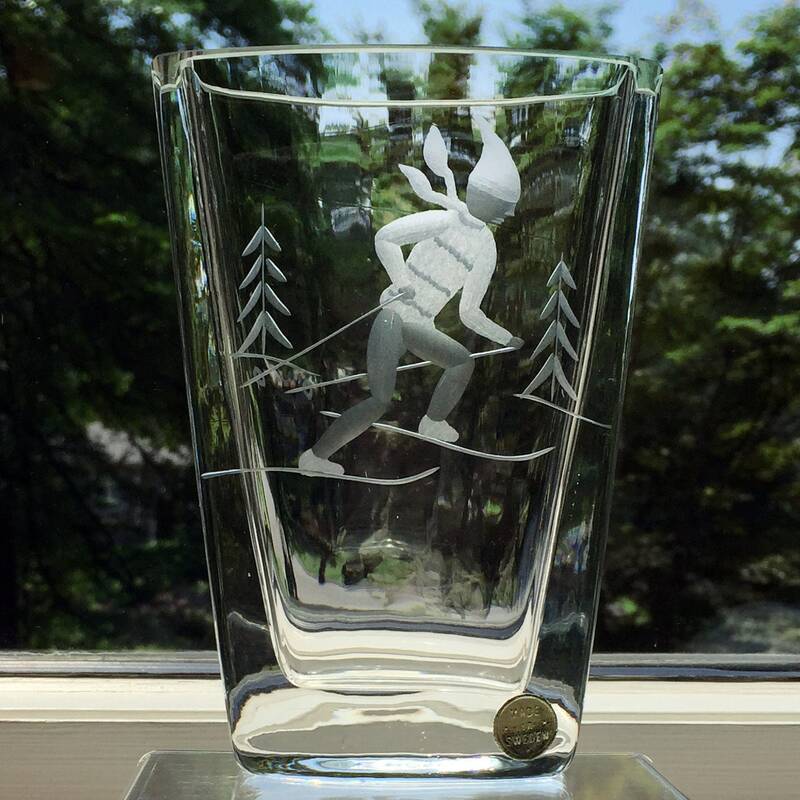 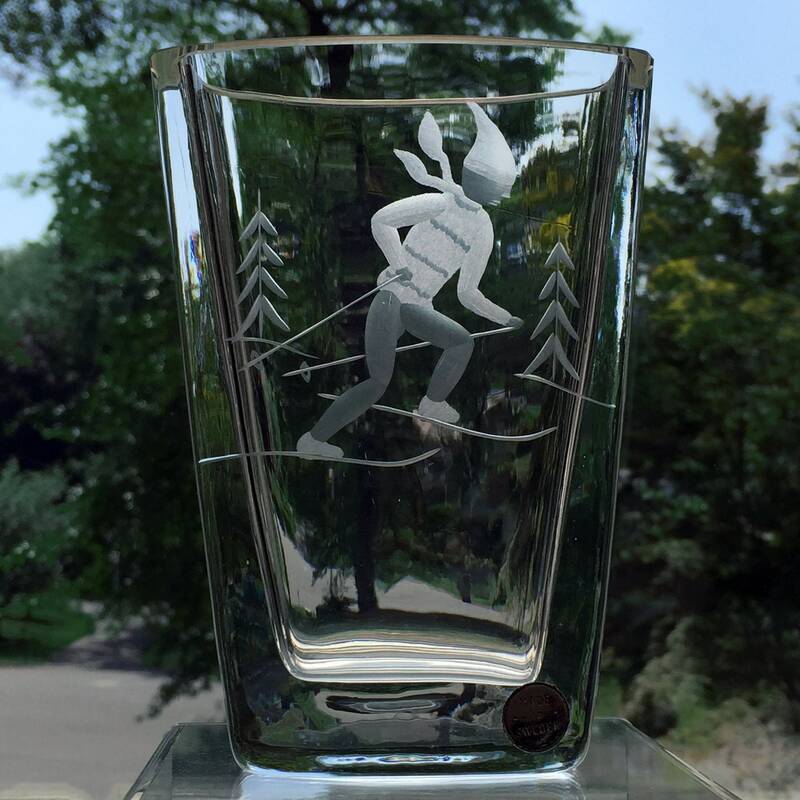 This charming copper-wheel engraved art glass vase depicts a traditionally dressed downhill skier, complete with woolen scarf and hat. 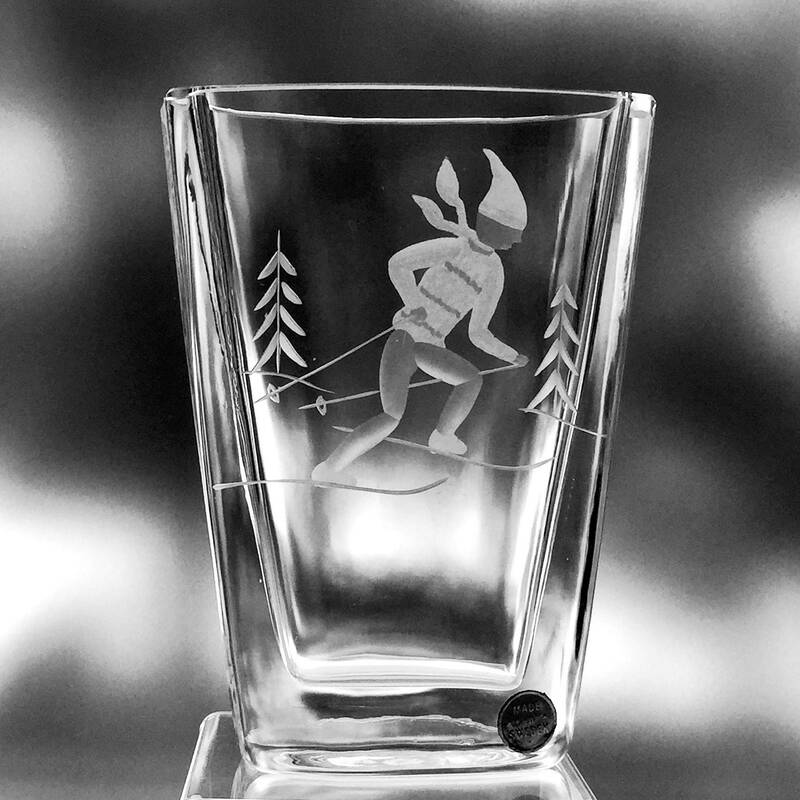 It was made at Smålandshyttan Glassworks, a small mill in the heart of the Crystal Kingdom, and one of about 60 glassworks active in Sweden during the 20th century. 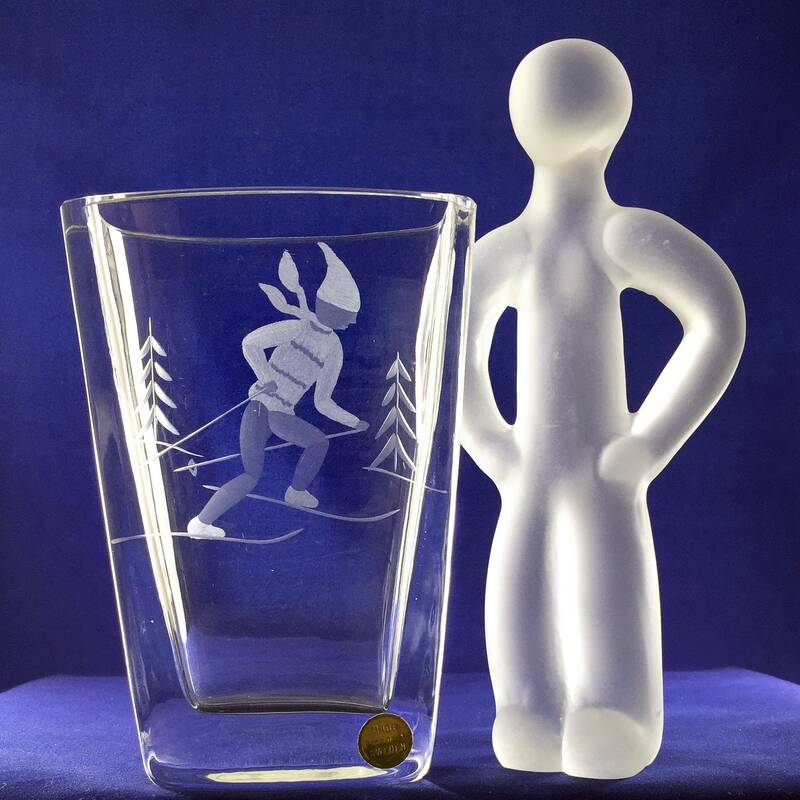 The artist was likely Peter Leek, third generation glass engraver. 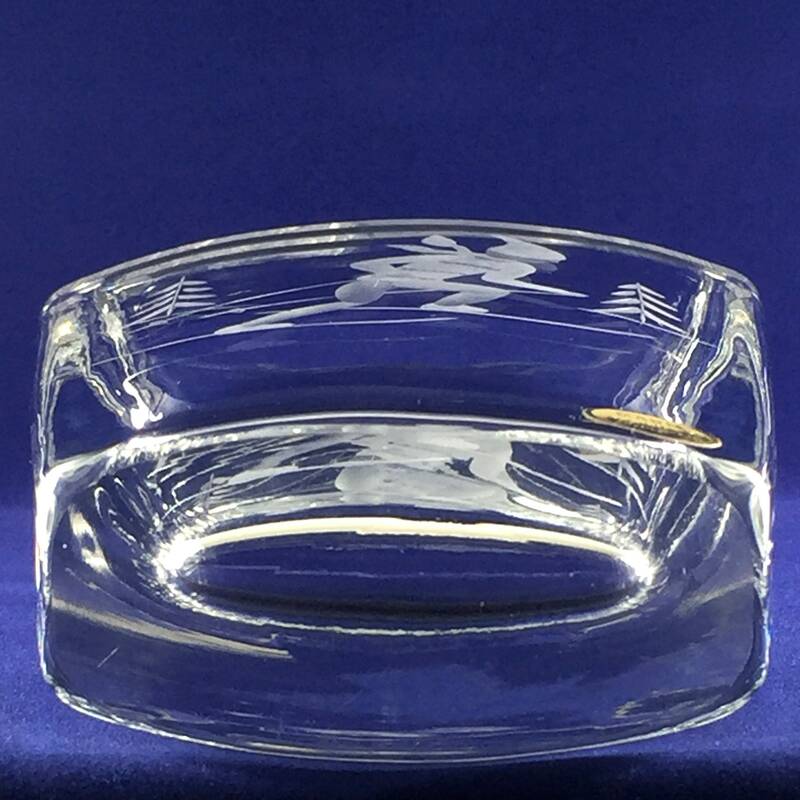 This medium sized vase is 4.125" x 2" x 5.75" (105mm x 51mm x 146mm) and weighs 1.5 pounds (0.68 kg). 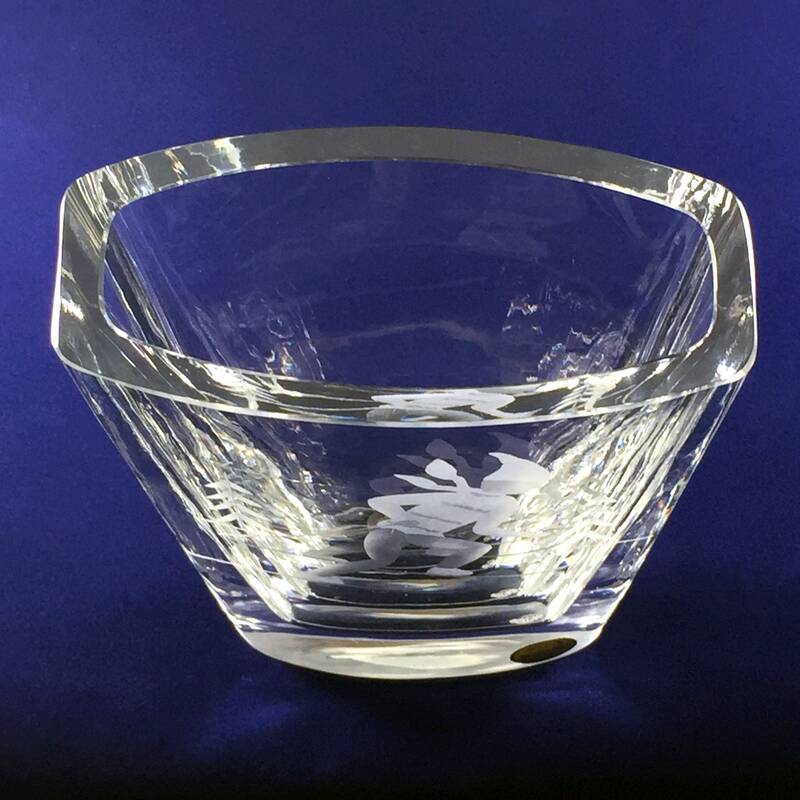 It is made from what Smålandshyttan calls, "half crystal," and it is in fantastic condition.